Meet the Cast: Teen Angel! 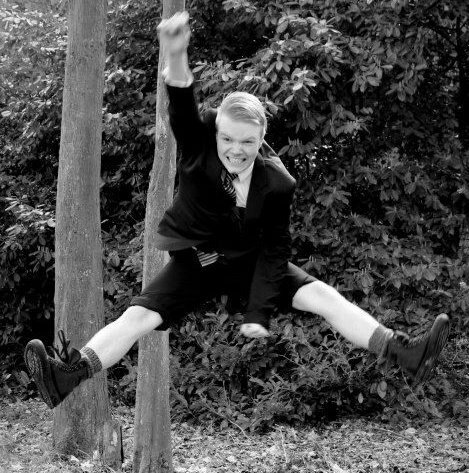 "My tail caught on fire mid-song"
Meet our gorgeous Teen Angel, played by David Oliver! Tell us a bit about them: Teen Angel is both the fantasy and conscience of Frenchy, with a killer fashion sense to boot. What other shows have you done? : Return to the Forbidden Planet, Spring Awakening, Into the Woods & Little Shop of Horrors. Best or Worst moment on stage: Being dressed as a lion, and having my tail catch fire on stage mid-song!!! !